Houseplant Appreciation day was started by The Gardener’s Network. It was created to remind people about their houseplants which might need a little attention after the holidays! The other reason is to celebrate houseplants is for the benefits they have for our health and well being. Kids love helping out! Give them the job of watering the houseplants. If they are young, just be prepared for water spills around the house! And don’t forget, it’s just water! Put some towels down on the floor, and have them clean up their spills afterwards. I do like to start thinking about the garden in January. Maybe because the seed catalogs start arriving, but it’s also my way of dreaming about warmer weather! 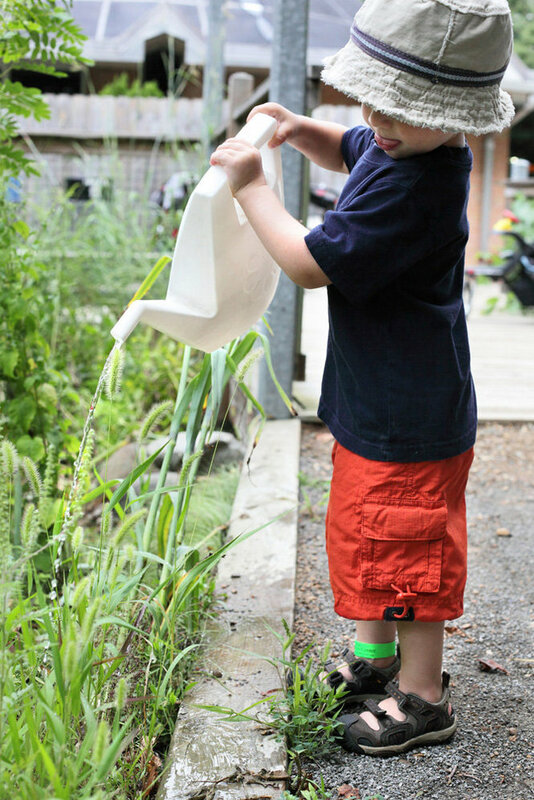 If you have room for a garden, involve your kids and find out which vegetables they would like in the garden. Maybe even give them their own plot to take care of. Our kids’ favorites are cherry tomatoes, snap peas, broccoli, dill, and raspberries. Especially since the kids can snack on them when outside playing – they love it and it’s so good for them. I make sure to plant these on the outer edges of the garden, so they can reach them easily. Plant Games, Facts, Videos, Images – Watch a video on the Venus Fly Trap – a carnivorous plant! http://herbarium.desu.edu/pfk/ <– I LOVE THESE EXPERIMENTS!! “Nibbles : A Green Tale” by Charlotte Middleton – Every guinea pig in Dandeville loves to eat dandelion leaves until there is only one plant left, and Nibbles secretly and carefully tends this treasure until he can share the seeds with his community. “Plants” by Sally Morgan – A book in the series by Sally Morgan that explores our world’s fascinating cycles and brings to life the processes that keep our planet forever changing. Earth Cycles: Plants looks at a range of trees, flowers and fruits to explain the colorful and varied life cycles of plants.